Haven't forgotten about my ENORMOUS STACK OF COOKBOOKS to show you all, that'll be next week - I've been under the weather. But I realized that this Halloween has been the Halloween of witch books! Nothing like a good ol' THEME to a holiday. Julia asked me what our 'theme' for Christmas was going to be this year (I don't recall that we had one last year, or if we did, it's escaping me), and I was like, uhhhh....colorful? Oh I think last year was supposed to be White Christmas. 'Cept it really wasn't white. So I tried taking lots of pictures of our Halloween window with my phone and those didn't really turn out and I had to throw the whole post away, but I'll take the best of the sorry lot and use it for the lead photo on this week's Cool Stuff list. Some days it's just haaaaaaaard to get it together. But here's a book! I should further clarify that it seems like my witch theme this Halloween can be further categorized as 'vintage witch'. 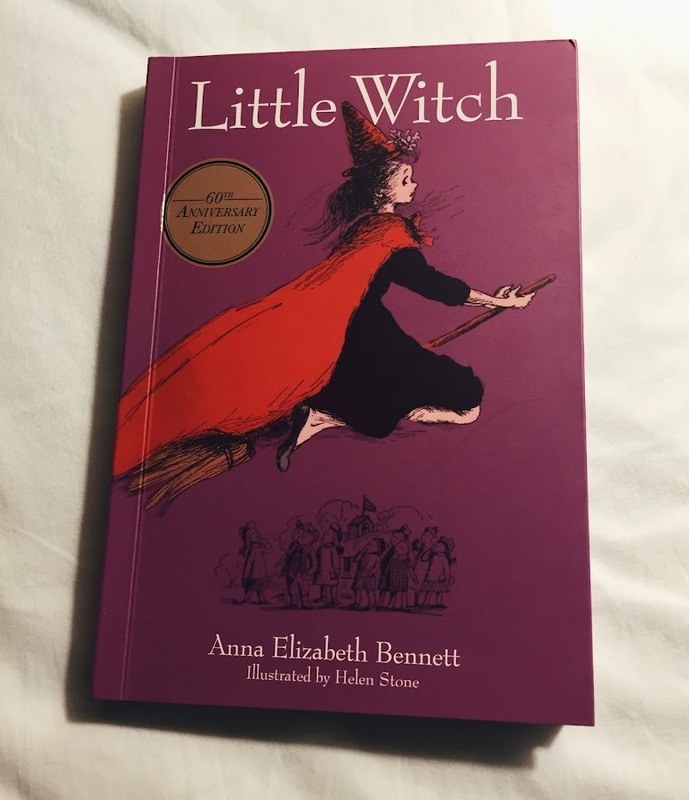 And it doesn't get more vintage than 'Little Witch' by Anna Elizabeth Bennett. I ordered this 60th anniversary edition for a little Halloween treat for Miss Julia. 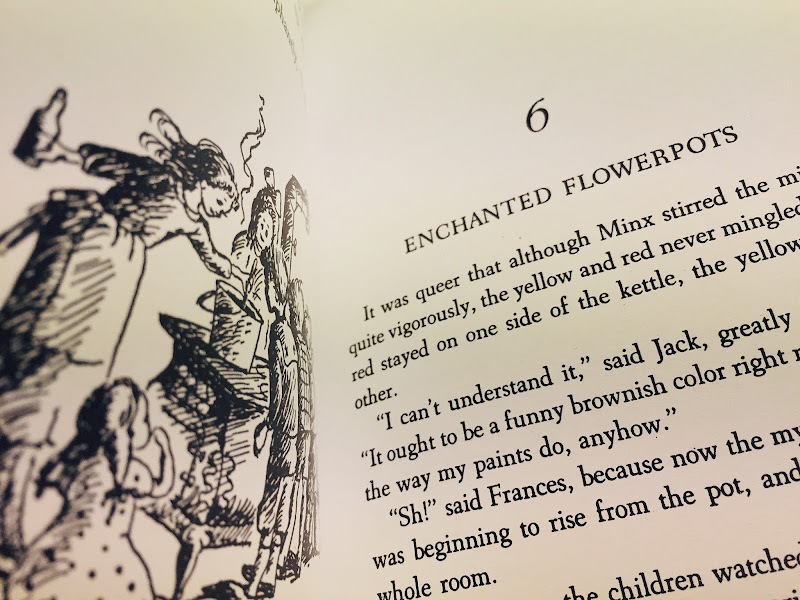 (and for myself, since I adored this book when I was in the 3rd or 4th grade!) This treasure is another delightful and not-too-scary (it's not scary at all) tale about a young witch trying to fit in at a local school. 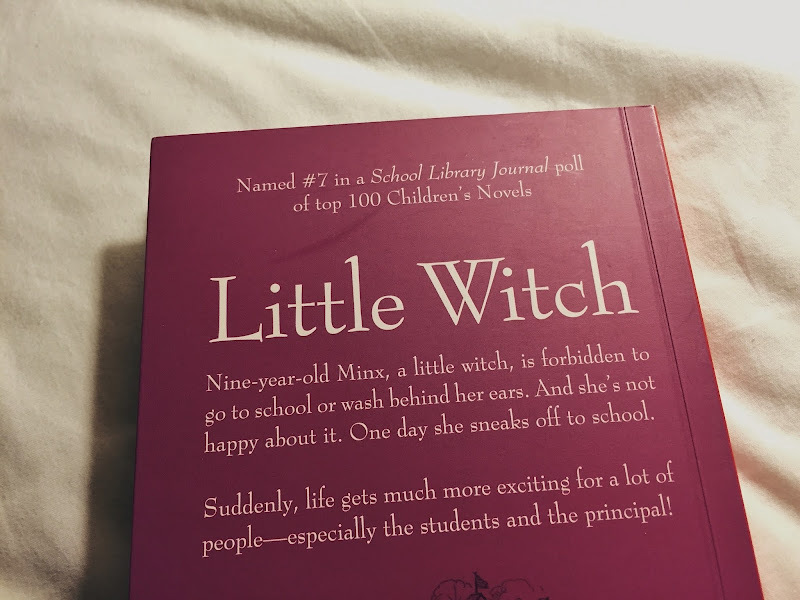 9 year old Minx doesn't love being the child of a witch. Because her mother is nasty and terrible and likes to turn children into flowerpots. 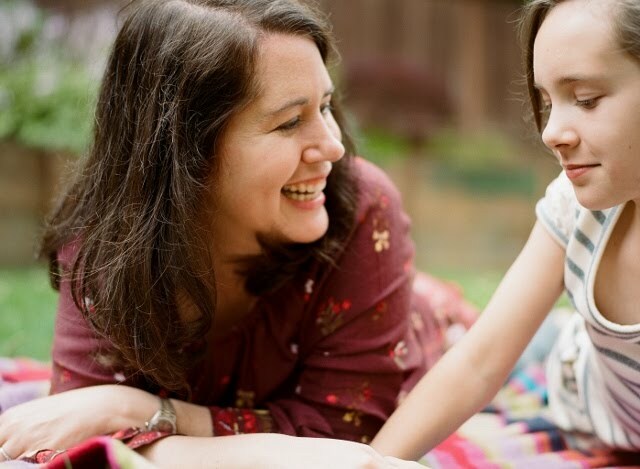 (It turns out that her REAL mother is a fairy!) I think I loved this book even more than 'The Witch Family'. Such delight. Helen Stone's art is whimsical and fun and dainty. 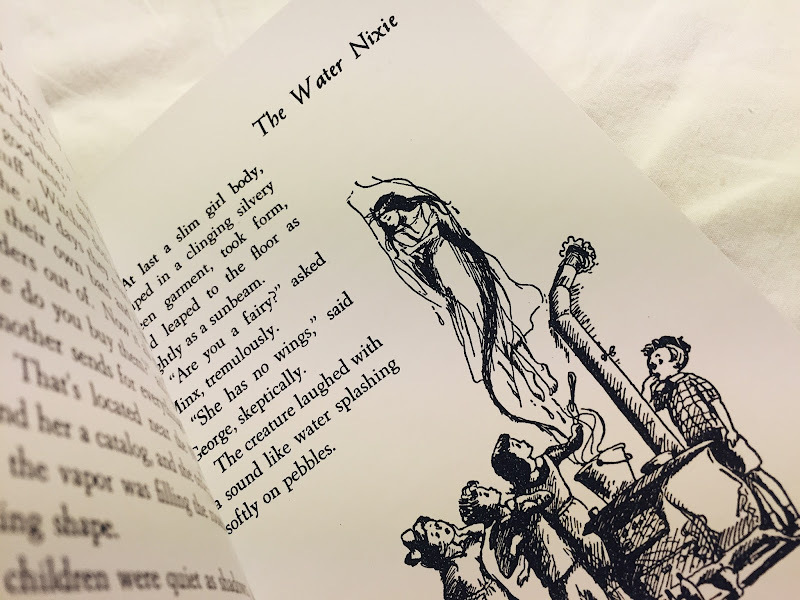 This special edition features a 'hard' paperback and thick glossy pages and it's just the right size to snuggle up under a blanket with and get lost in a fun world of sassy witches and pretty fairies and fun potions. Potions! My almost 10 year old still loves nothing more than to be set free in my spice drawer and make a pot of some kind of 'concoction'. Not much more that I can say other than that this one is an oatmeal cookie book - a cozy sweet treat that will charm your socks off. It's a good theme I think! Thank you, sweet girl, I tell you, this getting older thing - meh. I think I need a good old fashioned sick day! That book you linked to is GORGEOUS, I forgot about that one, I was happy to see it again!